All languages are awesome! 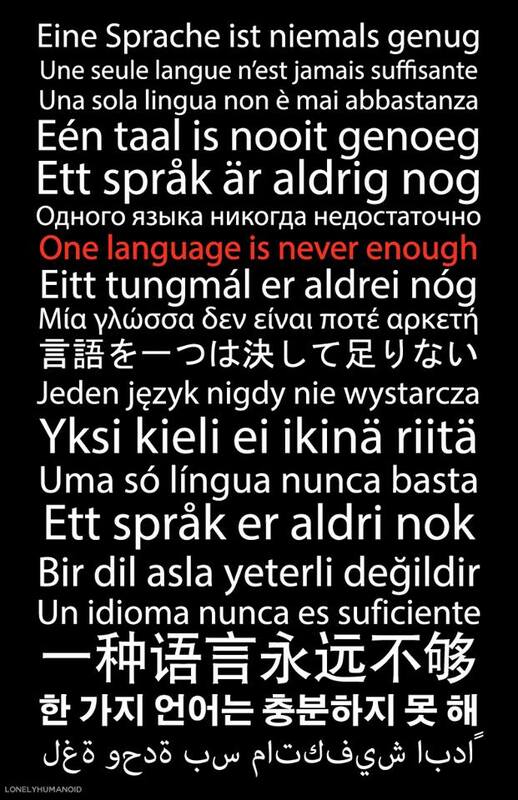 One language is never enough! I want to learn all the languages in the world! I want to learn at least one Romance and Slavic language and I want to learn as many Germanic languages as I can! The Native American languages and East Asian languages are very interesting! Previous PostXander speaks Latin in front of the booksNext PostVery impressive!